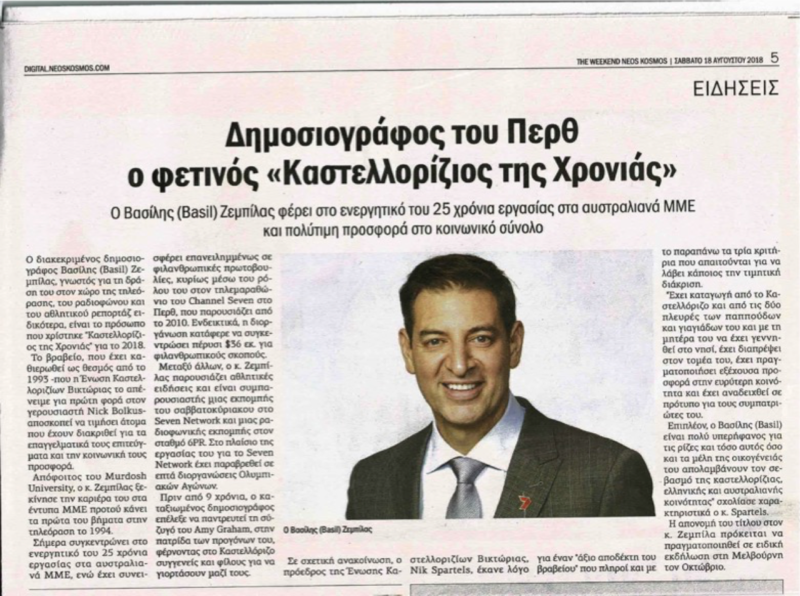 High-profile Perth based Australian television and radio presenter and sports commentator Basil Zempilas has been named Kastellorizian of the Year by the Kastellorizian Association of Victoria. The award will be presented in Melbourne in October. The annual award, first awarded to Senator Nick Bolkus in 1993, identifies a person who has achieved excellence in his or her own chosen field and has brought honour to the Kastellorizian community. Basil is widely known throughout Australia for his media work in the sporting arena. During his final year at Murdoch University he began reporting in the print media, and then in 1994 began his television career, retiring from the West Perth Football Club in the Western Australian Football League after five seasons. This year marks his 25th year in the Australian media, and in this time he’s worked with various charities, principally with Channel Seven Perth’s Telethon which he has anchored since 2010. Last year’s Perth Telethon, with Basil as host of the appeal, achieved a record total of 36 million dollars. 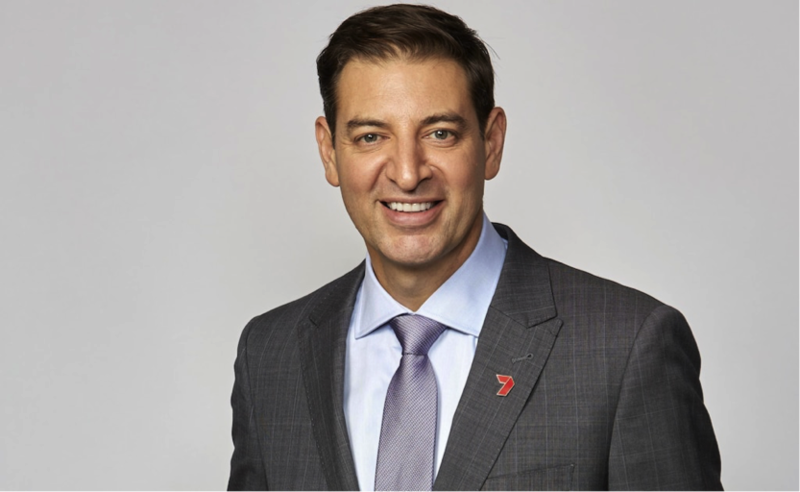 Zempilas presents sport on Seven News Perth Monday to Thursday and co-hosts Weekend Sunrise for the Seven Network from Sydney. He is also part of the Seven Network Sport broadcasting team. He hosts and commentates AFL, Tennis and Olympic Sports, attending seven Olympic Games for the Seven Network. Since 2014 he has been Master of Ceremonies for the Melbourne Cup Carnival. On radio he co-hosts the weekday breakfast program on AM station 6PR, part of the Macquarie Radio Network. In 2009 the Zempilas family and many friends travelled to Kastellorizo to celebrate the wedding of Basil to Amy Graham. They couple have three children Ava, Chloe and Anthony. Ava and Chloe were both christened on Kastellorizo.